Uranus moves into your love sector in March 2019, and he’ll be there for almost a decade. This can bring lots of changes in your love relationships over the coming years, and what you want in love may change, the types of people you fall in love with may change, and the kinds of relationships you want may change. You may desire more independence in relationships and the ability to be true to yourself. If anyone tries to smother you, you might go running fast. Mars is in your love sector mid-February through March, so you can get this energy early in the year and start feeling more energy and drive for love. You can focus on connecting to your heart and the hearts of the people you care about most. Mars is in your relationship sector mid-May through June, and this can open you up more to commitment. You can be more compromising, fair-minded, and strive to keep the peace in your relationships. If single, you may want someone you respect and feel is an equal, and if in a relationship, you may want to take things to the next level or strengthen your commitment. A solar eclipse occurs in this sector July 2nd, and you can renew relationships and meet new people. But Mercury retrogrades (appears to move backward) in this sector the second half of July, and you may need to work on commitment issues, problems in relationships, and difficult people in your life. It can be a good time to reconnect with people from the past. A lunar eclipse occurs in your intimacy sector January 21st, and you can focus on eliminating people you lack a strong emotional bond with, and growing closer with the people you do have that bond you, and you can take intimacy and relationships more seriously. Mercury retrogrades in this sector the first half of July, and you may need to watch for being clingy or dealing with someone who is, and make sure you’re not going to extremes. Mars is in this sector July through mid-August, and you can come out of the retrograde working on sharing and giving more to others. Mars is in your work sector April through mid-May, and you can be more productive, work to get more of the little things done, and feel more energy and drive to tackle smaller projects, tasks, and chores. You can focus on the work that needs to be done, and can pay closer attention to the details. You can pursue work that excites you, and the more you do, the more energy you may feel you have to do more, so try not to push yourself too hard. Mars is in your career sector October through mid-November, and you can focus on your long-term goals, work on your long-term plans, have a more practical outlook, and can more disciplined energy. You can understand what you can do on your own and want you may need help with, you can create realistic plans of action, and you can work to make good impressions on the right people. You may get recognition for something you’ve done, or hit your stride in some way. Uranus is at the end of his time in your home and family sector, leaving in March, where he’s been for the last almost decade. During that time, you may have experienced lots of changes in your home life, moving a lot, making lots of changes to your home, and what home means to you likely shifted; and you may have experiences lots of changes with your family and with what family is to you. Any more changes you want to work on can be done early in the year with Mars in this sector to start to year until mid-February, and then you can start to feel things slow down. Uranus moves out of your home and family sector and into the sector ruling your children, so if you have any kids, they may become more rebellious, demand more independence, and what they focus on or how their personalities are may shift over the next decade. You can give them the space they need to be themselves and help them find their own tribe. Neptune remains in the sector ruling your mind all year, and you can focus on spiritual subjects, and merge your mind with your soul. You can gain more intuitive intelligence, and can trust your instincts to understand what people mean behind what they say, and to guide you to find the right ways of communicating in various situations. Mercury retrogrades in this sector in March though, and you may be scattered, lack focus or mental discipline, and can question your ideas and plans. Try to keep track of them and leave action for when you’re ready. Mars is in the sector ruling your higher mind mid-August through September, and you can pursue some higher learning, go back to school, do some teaching or writing, and can focus on having new experiences in life so you can learn from them. Your outlook can be positive, and you can open up your mind to the world, wanting to gain more understanding of the way other people live. Jupiter is in the sector ruling your subconscious mind for almost the entire year, and this can help you get in tune with your subconscious self, to develop a stronger connection to your instincts, and you can benefit from getting time alone to work on things yourself, put together plans, and quietly take time to reflect and turn inward. Spend the time you get alone wisely, and set yourself up well for when Jupiter moves into your sign. Saturn and Pluto remain in your sign all year, just like they did for 2018, so you can continue to focus on transforming, evolving, using passionate energy productively, learning lessons, and being more disciplined, focused, and realistic. 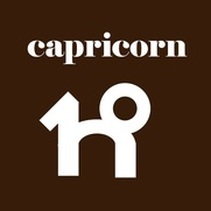 You can be practical and hard-working, intense and unrelenting at times, and it may feel a bit like you’re under a lot of pressure from the planets, but they’re probably whipping you into shape for something big. Believe that! A solar eclipse occurs in your sign January 5th and December 26th, and this can be great energy for focusing on the new. You can embark on new projects, pursue new opportunities and new beginnings, and give your life a shot of energy. A lunar eclipse occurs in your sign July 16th, and this can bring culminations, endings, heightened emotions, and you can work to do some clearing out in your life. Jupiter moves into your sign in December and you finally get a little expansion energy, some relief from the Saturn and Pluto energy. Jupiter can help you to focus all of the hard work that you’ve put in and make some of it start paying off in big ways. Keep doing things the right way and for the right reasons, and you can see a payoff. Have some patience and stick to plans!